Looking To Advertise? For $5 Dollars We Will! | Alpha Female Society. Hi Alpha Females and Friends! Are you looking to advertise your business? I’ll do this for you for $5! 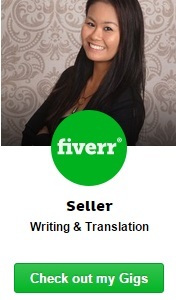 Have you joined Fiverr yet? If not, check it out! It’s totally safe (I know, for a $5 based marketplace you wouldn’t think so —they accept PayPal, Credit Cards, and Direct Deposits!). Check out my gigs on Fiverr to advertise your business. I do accept customer offers so please let me know how we can work together.